Aneesoft Flash Gallery Classic 2.0 is a simple yet powerful flash gallery making software that helps you bring your digital photos to life and express your creativity in an ultimate way. Aneesoft Flash Gallery Classic 2.0 was available as a giveaway on July 20, 2010! Aneesoft Flash Gallery Classic 2.0 is a simple yet powerful flash gallery making software that helps you bring your digital photos to life and express your creativity in an ultimate way. This is very useful tool for everybody to create a Flash photo gallery for sharing on website, Blogger, MySpace, Facebook, etc. No Flash skills needed. Step 1: Add digital photos and sort them into the desired order. You can adjust photos with handy editing tools. 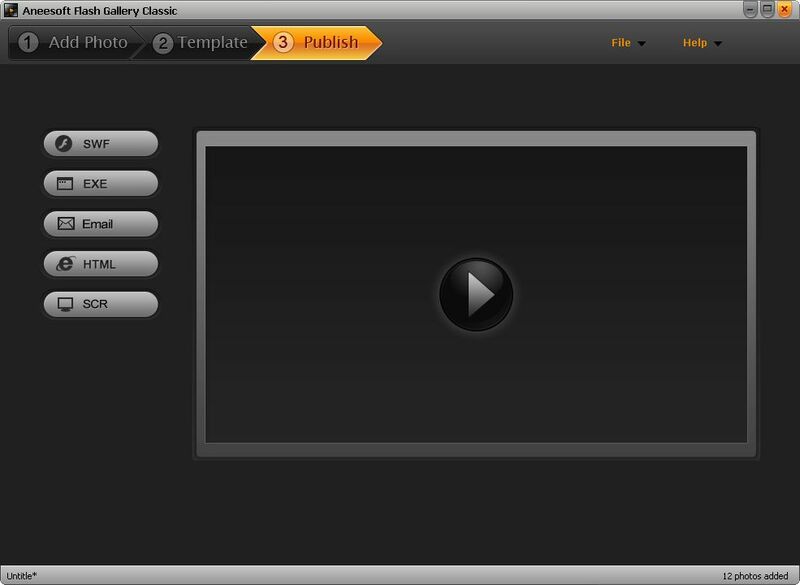 Step 2: Choose a Flash gallery template and add appropriate background music to enhance the show. How would you improve Aneesoft Flash Gallery Classic 2.0? Add drag and drop capability to the 'Add Photos' screen. Merge the Simple and Collage templates into a single scoll bar rather than having to click back and forth. Add rotational tools to the main 'Edit Photo' window rather than having to drill down. Add an option to enable a high resolution image to be viewed full screen. Sometimes close up detail is needed. Not everyone would want this but it would be handy to be able to select it if desired. Create a slideshow addition, where you can save as a video file that can be uploaded to facebook. Perhaps make the videos as smooth and as beautiful as the collages. Love this software though! :) Simply fantastic and easy. downloaded this program successfully according to final screen, tried to open but says the zip folder is "invalid or corrupted". It took an hour and a half to download. Must I do it again? I can't find the active file because I accidentally closed it. Anyone know where it may be? Many (most?) templates, especially the collage ones, don't handle portrait oriented pics well. When creating presentation, I frequently get message "Failed to generate SWF file!" with no explanation. I was surprised at how easily this worked in general, and while the templates are limited, there are some very nice ones included. The main challenges in using the software I found: Many (most?) templates, especially the collage ones, don't handle portrait oriented pics well. When creating presentation, I frequently get message "Failed to generate SWF file!" with no explanation. Awesome! Unbelievable results! 10 minutes to install and create - - - totally blew me away! Many thanks GAOTD and Aneesoft! Very nice, but I would like an OPTION to set the Output Path to my preference - for example, C:\Documents and Settings\USER ID\Desktop - without the program defaulting back (once closed and or re-opened) to the default Output Path at C:\Documents and Settings\USER ID\My Documents\Aneesoft Flash Gallery Classic GOTD Edition\. Thank you Aneesoft and GOTD! I am impressed! One of the best programs I have ever downloaded. I just wish the 3D is also included in the deal. Installed, activated and run without problem on XP sp3 32, vista ultimate 64, windows 7 professional 64. download, activate and set up in less than 5 min. Thanks GOTD! Is there any option for simple layout without thumbnails scrolling ? Where are the "theme templates" as indicated by the screen shot above? @ 48 problem with not working - flash player 10 needs to be installed for program to work - check install file in programs file Aneesoft and install and program will work!! I had an older version of flash installed!! On Vixzta X64 it would install, but failed to activate. On Vixzta X64 it would install, but failed to activate. what do i need to do? Aneesoft website. The Theme templates are in my pc's folder. How do I add the Theme templates or my own templates? I realize now that only Simple and Collage templates buttons are showing on my screen. Instead of the Theme templates button, the link "50% off: Get More Templates + Aneesoft 3D Flash Gallery" takes me to Aneesoft website. The Theme templates are in my pc's folder. How do I add the Theme templates or my own templates? I have downloaded this software twice. In between, uninstalled and restarted my computer. Both times when I open the software there is no control banner. It is just a blank screen with no control to do anything. Any suggestions? I am using XP with pack 3....and when I install everything is closed. Installed and activated on xp64...too bad it won't run. A featureless gray screen opens--if clicked on, an error with "access violation at address 00000001" appears. Doesn't really matter anyway--irregardless of how it works, the fact that you can not re-install after a format hardly makes it a "keeper", nor should it be called "free". If it was TRULY free, you could re-install it. I'm getting a CRC error when extracting the ZIP. Tried downloading twice. Installed and runs great on WinXP SP-3! A simple, easy to use software that produces a great looking picture effects! No problems or complaints at all! This program is a keeper!! Superb program, ideal for standalone photo shows eg screensaver, or of course putting into a website and looking so . . cool and pro! This program looked like it would be a great one, but I can't use it. I installed, then activated. GOTD page says it's activated, but when I try to open it I get "Library not registered" (fgc). Can anyone tell me what might be going on here? Thanks. Installed on XP. Comes up with blank frame, and no content. Tried remove and reinstalling several times. Same problem. I guess I have to pass on this program. Thank you GOTD and Aneesoft to giving away Flash Gallery Classic 2.0 for free today, I mean FREE is always great but I will shear this with everyone I know. Very Nice, Aneesoft Flash Gallery Classic 2.0 Installed and registered with NO problems on Win XP Sp3 32bit and I created a two gallery’s: One a screen saver and the other HTML and they both work just fine The only real improvement would be to let the (ADD Photo) is to be able to add more then just one at a time. Other then that it's Very Good and a keeper, very easy to use for novice and Geek (o; Thank you GOTD and Aneesoft to giving away Flash Gallery Classic 2.0 for free today, I mean FREE is always great but I will shear this with everyone I know. Just did a second download after a reboot and it still will not perform. Receives an access violation error now. I give up. Just did a second download after a reboot and it still will not perform. Receives an access violation error now. I give up. Uninstall. I cant seem to get any more than about 12 pictures to run on the program. i had downloaded about 50 but cant get them all to run. Only 10 templates provided. Have to pay to get some of the more interesting templates. Image quality is reduced too much and the program delivers a bad image quality even when one select high output quality images. Works fine. Only 10 templates provided. Have to pay to get some of the more interesting templates. Image quality is reduced too much and the program delivers a bad image quality even when one select high output quality images. and if you want more you can buy them. No problems installing, smooth and easy.
. Works great with Vista 64. Has about two dozen templates, and if you want more you can buy them. No problems installing, smooth and easy. . Excellent Giveaway. A must to download for the "non-expert-but-willing-to-create-a-flash-movie". Can't install in window 7. Getting error "library not registered" Would anyone know why? Works like a charm and so simple to use! Thanks GOTD!! #20,#45... I did not see said option (obviously), if it's there great. But it's always wise to de-select such options because whatever the program does during that session will be done with elevated rights including launching web pages outside protected mode. #28 the program when run NORMALLY does not request or require rights elevation so will not generate a UAC prompt. #20,#45... I did not see said option (obviously), if it's there great. But it's always wise to de-select such options because whatever the program does during that session will be done with elevated rights including launching web pages outside protected mode. #28 the program when run NORMALLY does not request or require rights elevation so will not generate a UAC prompt. buggy program, the music didn't work, sounded like an old 33 rpm record skipping. Several other things went wrong, I forget all that happened, I was writing a review of the bugs and unfortunately shut the program down while I was doing it, it crashed my firefox browser and I could no longer reconnect to the internet not even with Internet Explorer. There was nothing wrong with my pc before I installed this and it and Firefox was the only thing running, not even a system restore would fix it, I had to do a factory restore and lost all of my other GAOTD programs. Two thumbs wayyy down. A warning to anyone using it, don't have your browser on while shutting the program down, I should have been running in a virtual environment, too bad I wasn't. Product absolutely DOES NOT WORK on XP Pro VM in Virtualbox. However when it starts there is NO MENU - just a blank screen. Access violation at address: 00000001. Read of address 00000001. This is XP Pro with SP3. A total waste of my time and drive space. Product absolutely DOES NOT WORK on XP Pro VM in Virtualbox. Installed and activated Ok. However when it starts there is NO MENU - just a blank screen. Right-click gives a error box titled: Aneesoft Flash Gallery Classic GOTD Edition with this meaningless error: Access violation at address: 00000001. Read of address 00000001. This is XP Pro with SP3. A total waste of my time and drive space. The software downloads and installs okay. When you add a caption the caption isn't displayed. When you add/change a background image the old image still appears. I'm not sure this is usefull software. The software downloads and installs okay. When you add a caption the caption isn't displayed. When you add/change a background image the old image still appears. I'm not sure this is usefull software. All your efforts to supply us with consistently good software is always appreciated here...Many thanks to the generous folks at GAOTD! It crashed on startup over the hex address issue discussed above. THEN when they asked why I uninstalled it, it would not let me submit my reason. It crashed on startup over the hex address issue discussed above. THEN when they asked why I uninstalled it, it would not let me submit my reason. Installed and activated fine on WinXP Home SP2. This might be useful to someone who wants a very simple way of of creating Flash sideshows, but is too basic and simple for my own personal taste and needs. • The ability to change the background color of the player itself. • The ability to adjust frame rate. • The ability to choose what size the photos should be re-sized to, or not resized at all. • The ability to choose both image display time and transition time separately. I've un-installed this because I already own higher end packages with more features, but as I said, anyone wanting something very simple might find this useful. Installed and activated fine on WinXP Home SP2. This might be useful to someone who wants a very simple way of of creating Flash sideshows, but is too basic and simple for my own personal taste and needs. For future updates the vendor might consider some customization options such as: • The ability to change the background color of the player itself. • The ability to choose a variety of transitions. - (The transitions on some of the templates are extremely tacky.) • The ability to adjust frame rate. • The ability to choose what size the photos should be re-sized to, or not resized at all. • The ability to choose both image display time and transition time separately. (These are all options that already exist in other software of this type) I've un-installed this because I already own higher end packages with more features, but as I said, anyone wanting something very simple might find this useful. I think that the version given away last year was actually the 3D one, this version is the classic. @rinphx I think that the version given away last year was actually the 3D one, this version is the classic. Installed and ran fine on Win 7 Pro x64. In response to comment #2 - you can uncheck a box on last screen of the installer to prevent the program from launching after installation. You can Ctrl+click to select multiple images to insert all at once. It was not clear if there was a way to re-order the images after they are imported. I really appreciate the project file!!! Many of the projects I will create with this program will be added to later, so the ability to save the raw project is extremely helpful. 1. Color picker disables the ability to define colors using RGB. Real Web developers need exact control over colors...would really prefer ability to define color with (#HEXHEX) HTML color code to match page color to site so I don't have to go back and edit it separately after the output is generated. 3. Ability to reorder photos after adding (if feature is not already there and I just haven't found it). Overall AWESOME ... I will be using this and may buy it if I get a paying project to use it on. Installed and ran fine on Win 7 Pro x64. In response to comment #2 - you can uncheck a box on last screen of the installer to prevent the program from launching after installation. You can Ctrl+click to select multiple images to insert all at once. It was not clear if there was a way to re-order the images after they are imported. I really appreciate the project file!!! Many of the projects I will create with this program will be added to later, so the ability to save the raw project is extremely helpful. It took me all of 35 minutes to install, create a quick demo, and upload it to my web site. I used the HTML option to get the HTML code, which I will edit later in Expression Web. This is the unedited quickie demo (did not make links...that is probably the single most potentially useful feature of the whole thing, and I may add these soonish.) http://neweridu.net/crop_circles.html I am submitting the following suggestions for improvement: 1. Color picker disables the ability to define colors using RGB. Real Web developers need exact control over colors...would really prefer ability to define color with (#HEXHEX) HTML color code to match page color to site so I don't have to go back and edit it separately after the output is generated. 2. Drag-n-drop photo adds. 3. Ability to reorder photos after adding (if feature is not already there and I just haven't found it). Overall AWESOME ... I will be using this and may buy it if I get a paying project to use it on. That will be a something to keep for life. Such an amazing software. That will be a something to keep for life. Installed, registered and runs without errors on win7/64bit. Added mp3 file without issue and made a 6 MB file out of 20 pics at 15MB each or 300 MB total and pics look just fine on display. 1. When creating .exe or .swf files I cannot get the "picture only" there is also a slide bar showing the pictures to run. This should be menu controlled but I can't find the right button to get rid of the scroll bar. 2. 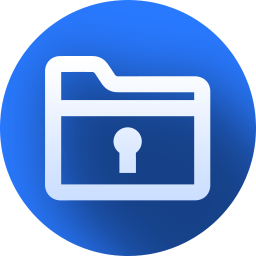 ScreenSaver creates a .scr file and when moved to System 32 folder it appears as a SS choice to windows but it will not run. Will not run in preview screen either. This might also be a menu button I cannot find, but maybe an error as well? Installed, registered and runs without errors on win7/64bit. Added mp3 file without issue and made a 6 MB file out of 20 pics at 15MB each or 300 MB total and pics look just fine on display. Little tech help: 1. When creating .exe or .swf files I cannot get the "picture only" there is also a slide bar showing the pictures to run. This should be menu controlled but I can't find the right button to get rid of the scroll bar. 2. ScreenSaver creates a .scr file and when moved to System 32 folder it appears as a SS choice to windows but it will not run. Will not run in preview screen either. This might also be a menu button I cannot find, but maybe an error as well? This is a fantastic program. Just what I needed! If I ever lose it, I would buy it. The drag and drop is a good idea, but if you control + click, you can select several photos at once. Installed fine on Windows 7 (Ultimate) and activated without a hitch. This is a fantastic program. Just what I needed! If I ever lose it, I would buy it. The drag and drop is a good idea, but if you control + click, you can select several photos at once. Installed fine on Windows 7 (Ultimate) and activated without a hitch. Thanks GAOTD &amp; Annesoft! Downloaded on Win2k. Tryed to start program and got error message - "FGC.exe - Entry Point Not Found - The procedure entry point GetRawInputDeviceInfoA could not be located in the dynamic link library USER32.dll". Have never gotten this message before on any GOTD I have downloaded. Any suggestions would be appreciated. Thanks. Sorry - doesn't work on my new laptop (XP SP3), core i5 w/2G mem. Install on my XP SP3 HE without any problems. Does what it says ... seems to work flawlessly. Excellent program. Very simple and effective software. However 2 points re captioning. I added captions but they did not appear. Is anyone else having a problem with that? Also, a great option would be to allow users to choose to have the titles which are already on the photos (for example, number.jpg) to be automatically presented as the captions. This would be of value to someone like myself who web publishes the 80 or so photos from each charity event we hold. Very simple and effective software. However 2 points re captioning. I added captions but they did not appear. Is anyone else having a problem with that? Also, a great option would be to allow users to choose to have the titles which are already on the photos (for example, number.jpg) to be automatically presented as the captions. This would be of value to someone like myself who web publishes the 80 or so photos from each charity event we hold. Would not run on Win XP SP3. controlled without having to turn down my speakers manually. This one's a keeper on my pc! Downloaded and installed on Win XP3 without any problems. Thanks to GOTD and Aneesoft.Easy to use for a non-technie like me. I've added music to my photos gallery too...only wish the music volume can be controlled without having to turn down my speakers manually. This one's a keeper on my pc! The same version of this program was given away in December 2009 - version 2.0. I went ahead and installed this in a different directory. This version actually has different templates than the previous version, even though they are both version 2.0. The same version of this program was given away in December 2009 - version 2.0. I went ahead and installed this in a different directory. This version actually has different templates than the previous version, even though they are both version 2.0. I am such a beginner, but with careful reading intaleld just fine (Vista 64bit)and found all the info is available. Simply worked through the help and made sure to read FAQs as well. the answers re uploading are very clear, if a bit scary for a non-techie like me.